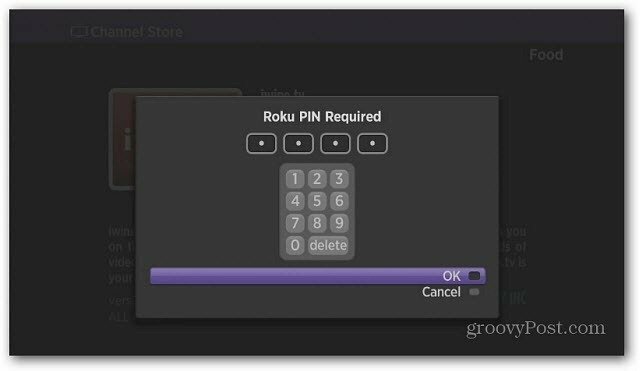 Protect your Roku Account from unauthorized purchases by enabling a Channel Store PIN. The Roku doesn’t offer a Parental Controls feature like the Apple TV or Xbox 360, but there are some safeguards you can implement. One of which is adding a Channel Store PIN. 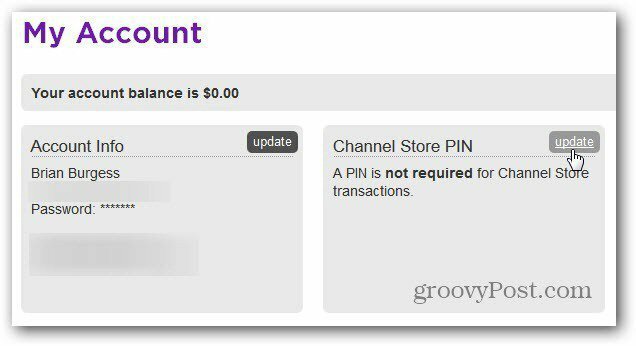 Unless you have the correct PIN number, channels cannot be added — either free or paid. To set it up, log in to your Roku account online. Then click Update next to Channel Store PIN. Now select how you want to use your four-digit PIN. Either require it for making purchases or for adding channels – including free ones. Now when you or anyone else goes into the Channel Store, the PIN you created will be required. Note that the PIN only applies when adding channels from the device itself. If you want to add channels, including Hidden Channels from the website, a PIN is not required. the my roku link results in a blank page. how does one find their password? I just bought a Roku from a pawnshop. It already has someone else’s pen. How do I put my own pen in? Please help. I have lost my roku pin number and need to find out what it is or set up a new one. Please advise how to obtain my old one. I too am having problems with Pin can’t find the original and can’t seem to change it.. I have lost mine as well did you ever get any info this ? Actually open the app on your phone set up acct and click forgot password .. Email will be sent and once logged in you should be able to change your PIN or set it up not to ask for one .. Create a new Roku account online. If you’re not able to reset it when activating the device, you will need to contact customer service.